My favorite summertime drink is coffee… Come to think of it my favorite anytime drink is coffee, so that isn’t a huge surprise. but with the rise of bulletproof coffee, and the hype surrounding everything even remotely related to pour overs and artisanal anythings. I think it’s time to simplify. I’m running out of time and I’m pretty sure you are too. The day may be longer in the summertime but between family work and pets I have more than enough on my plate. I want to simply things. Enter Cold Brewed Coffee. We have talked about this before, even reviewed a gadget or two. But I love me some simplicity. And the best way to enjoy that tasty beverage is Iced. 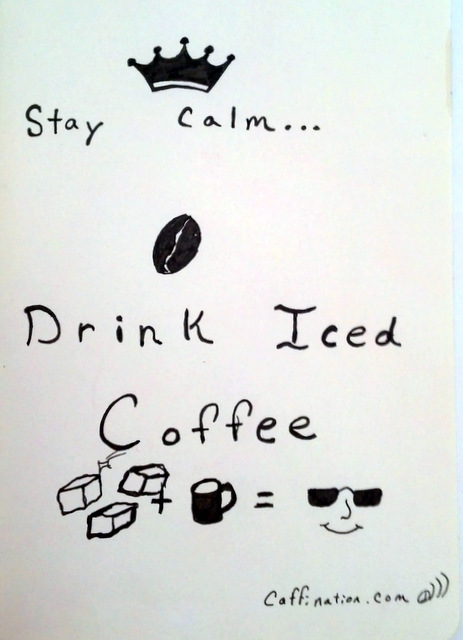 Let’s get this out of the way first Iced coffee is simple. I have used this graphic many times before. But Cold Brewed does not equal Iced coffee. With cold brew you find a container, I prefer a plastic water bottle 32 oz works wonderfully. Fill it with cold water and about half a cup of ground coffee. Place it in the fridge overnight after a vigorous shake. 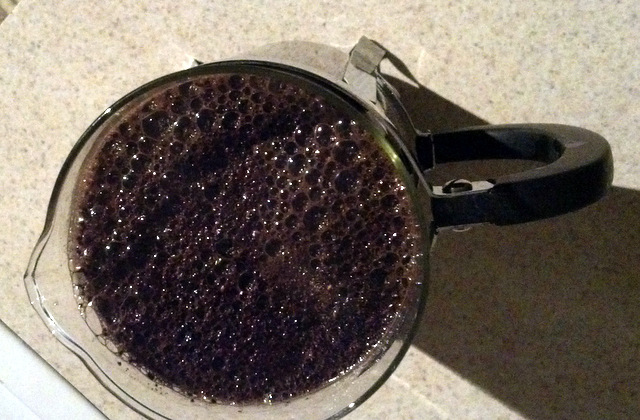 In the morning, pour your cold goodness into a French Press, or through a filter to remove the used grounds. Now you are left with cold filtered goodness. It is that simple. No gadgets needed, just a little time and a little planning. I use half a mug of cold filtered coffee, 3 ice cubes and top it off with water in the morning. Just as strong as a cup of hot and fresh. Don’t get me wrong I like my coffee all over the map but the summertime change of pace is nice too. How do you enjoy your coffee in the summer?